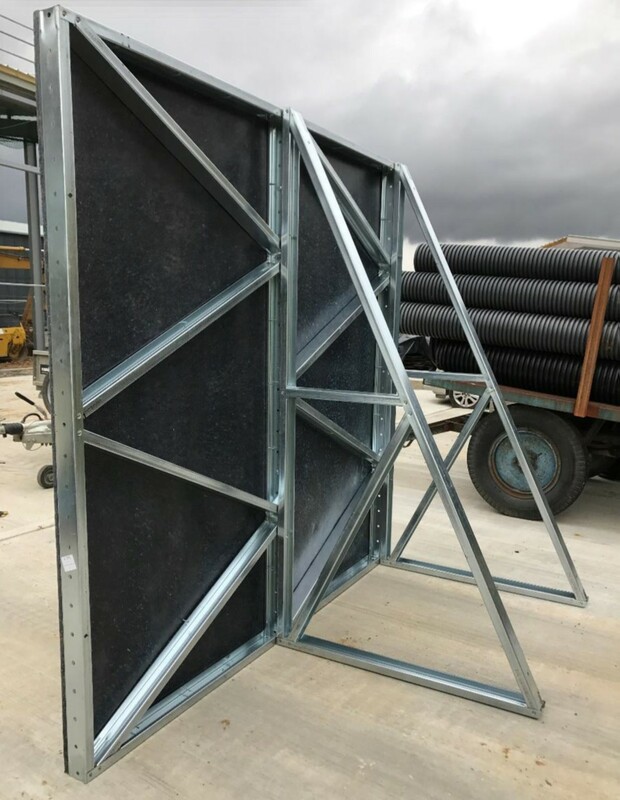 Storm Board is the only 100% recycled Site Hoarding board in the world, and what more it’s reusable, water resistant and doesn’t need painting. Graffiti cleans easily from the boards. 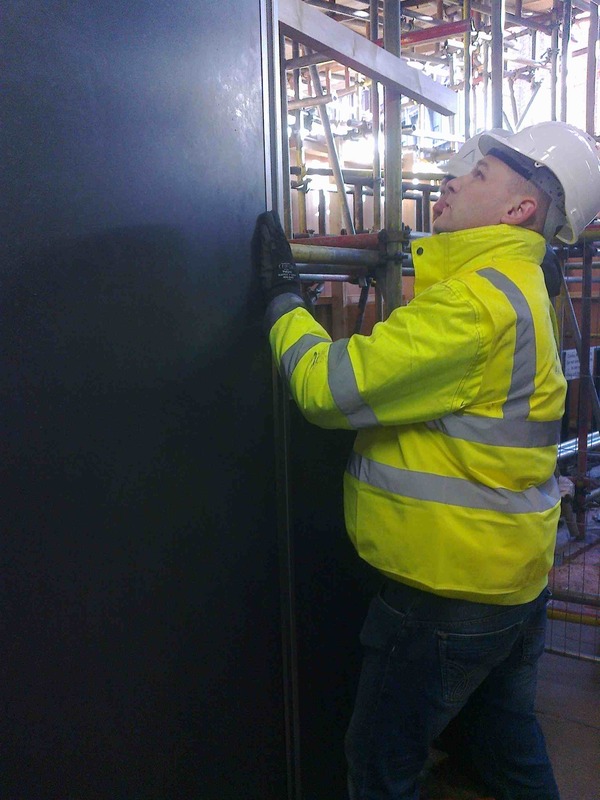 Using Storm Board as Site Hoarding saves money, saves rainforest and saves landfill. 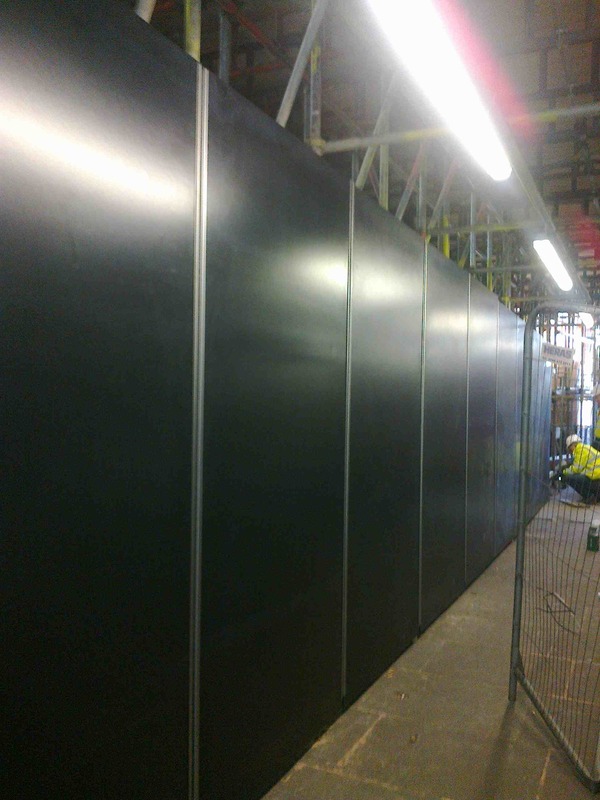 Site Hoarding with Storm Board is the only reusable and sustainable hoarding solution available. We hope to answer some of the queries and issues arising from using Storm Board for the first time in a site hoarding application. Every day we see the issues of plastic pollution, and society is trying to find ways to “close the loop” by re-using plastic waste streams. 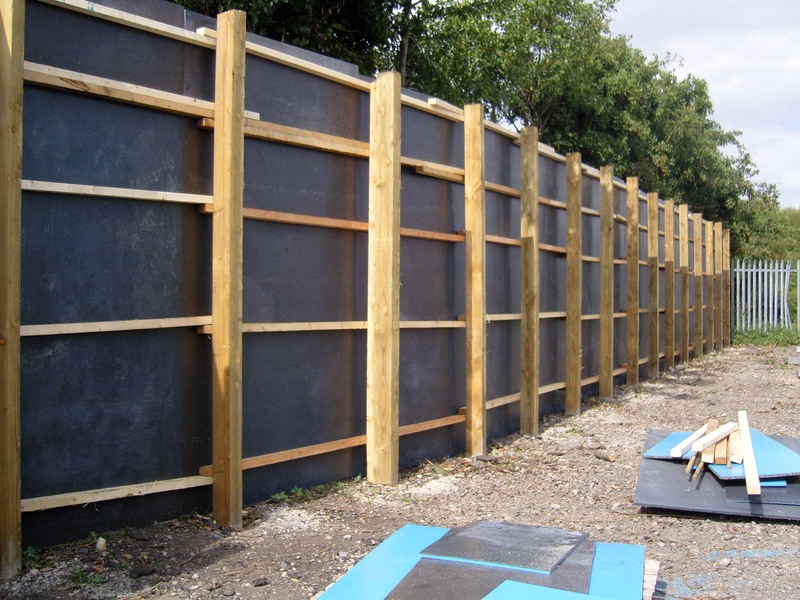 Site Hoarding is an ideal application for Storm Board. Outdoor in all weathers, it doesn’t rot, is easy to laminate, and can be reused again and again. So why don’t all companies use recycled boards for site hoardings? 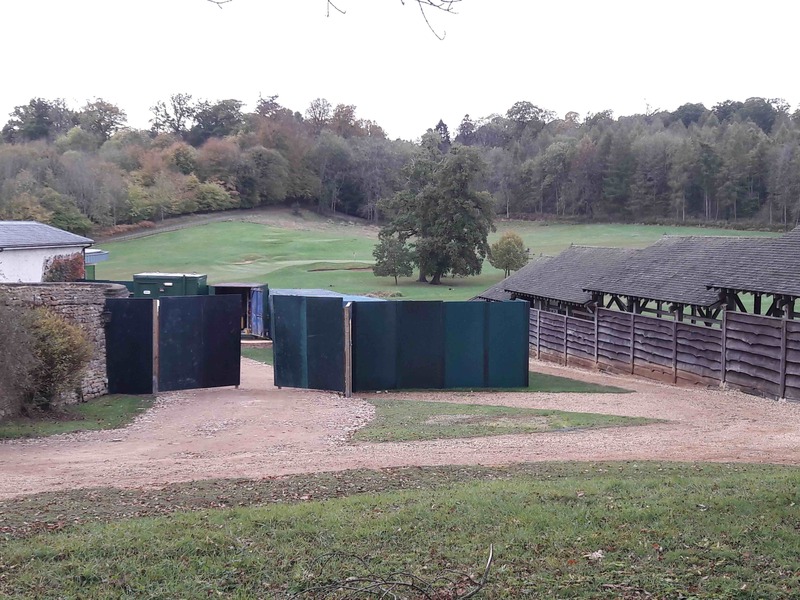 Typically site hoards are erected using 19mm plywood, fixed to a timber post and rail system. 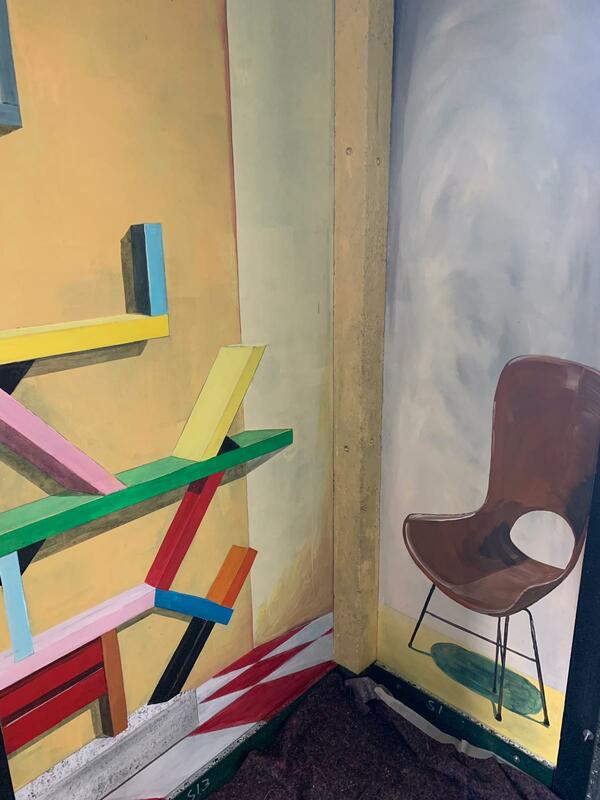 The plywood is usually painted, and then a printed aluminium composite, such as dibond, is fixed to the painted plywood to give the branded finish. Once the site is finished the whole lot is generally landfilled. this post and rail system is using Storm Board. It was erected by Costain in 2011 and is still standing. Price: the initial purchase price of plywood is cheaper, but this does not include painting the plywood or the cost of printed aluminium composite and landfill. Add all this up and the plywood system looks very different. Tolerance: on day one plywood arrives flat and finished to tight tolerances. 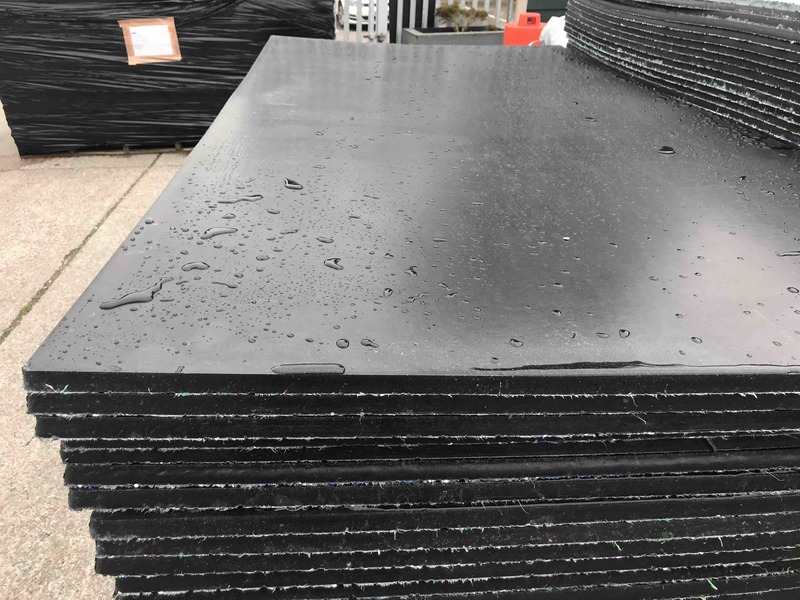 Storm Board is a plastic moulded product made from mixed waste and will never be as flat as a sanded ply, it can appear to have a dip on the pallet, but once hung straightens out. It is produced “oversize” so that it can be cut down to 8ft x 4 4ft, as not all plastics react the same way. However after 6 months in the wet, plywood tolerances go out the window and Storm Board will look the same after years outdoors. Storm Board is delivered "oversize" with the moulded edge, this can be cut to size on request. The moulded edge gives the board protection during transport, and extra strength on edge fixing. Colour/ Laminate/ Aluminium Composite: recycled colours will tend to be dark, such as green, grey and black. If you imagine mixing all your paints together…you don’t end up with white. Storm Board can be produced in specific colours by using virgin plastic on the skin, the shadow of the recycled core will show through. This will make the board about 70% recycled, rather than 100%, which is still better than anything else. The board has a smooth surface, ideal for laminating, so forget about the aluminium composite and laminate direct to the surface of the board. The board can still be recycled or reused once it has been laminated. Aluminium composite sheet is expensive, but printers love it because it goes through their ink jet machines easily. Take this cost out of the equation and you are quids in. 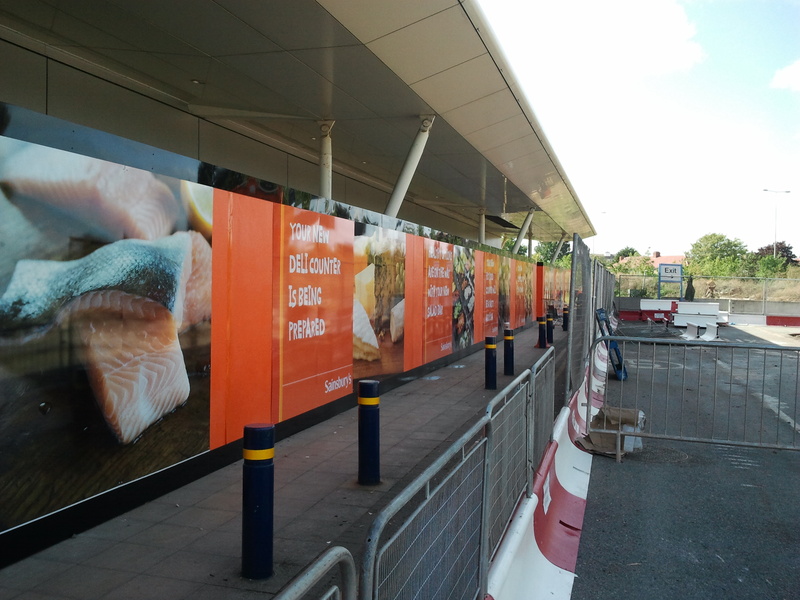 this Sainsburys hoarding, erected by RG Group, is produced with an orange skin, and then had printed aluminium composite fixed to it. 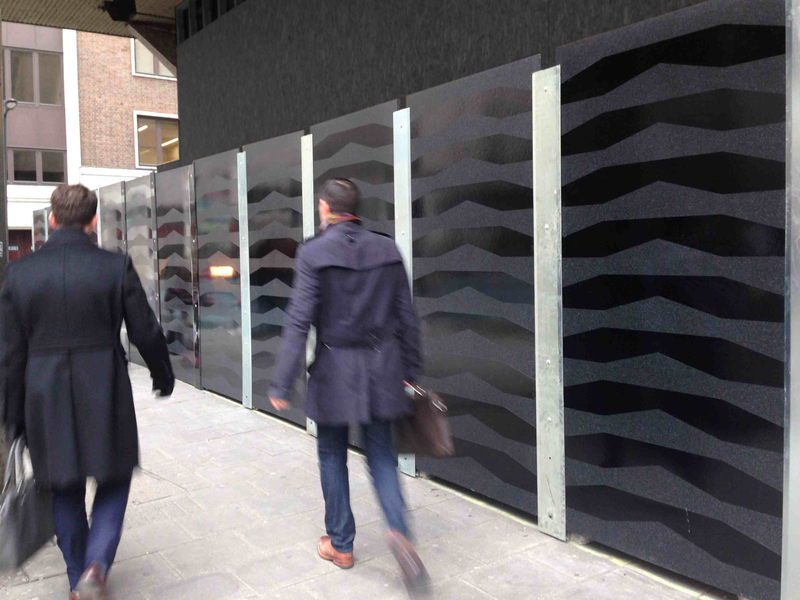 this traditional timber hoarding is our standard speckled black, with vinyl applied directly to the face. When it is reused vinyl can be applied to the same or the other face. The board with the vinyl can be recycled into new boards at the end of life. Storm Boardis reslient to paint, hence the easy clean, anti grafittis qualities, however it can be painted by creating a key in the surface by sanding, (as in this image). The best paints to use are thise used in the automotive industry for plastics. Different material: it is tough to change, when a new material comes along from a disruptive technology. All the negatives are thrown at it first, as many do not like change. The key for innovative companies is looking at the positives and working out how to overcome the differences in a new material, because in the end it will save money and the environment. Do things differently. Expansion: Plastic will expand/ contract more than wood. Over a 2.4m length Storm Board will expand approx. 3mm/10C in the heat, whereas plywood only 1.5mm, (the opposite way). So it does require a bit of thought and patience when using Storm Board for the first time. Using a “top hat” or clamp system will allow the boards to expand and contract, as well as speeding up the assembly/ disassembly of the system. There is less mechanical damage using a top hat system. If using screw fittings, then screw through the board to the timber using penny washers, and don’t force the fixing too tightly. We have a traditional timber post and rail + Storm Board hoarding up since 2011 in London, and it’s still there. 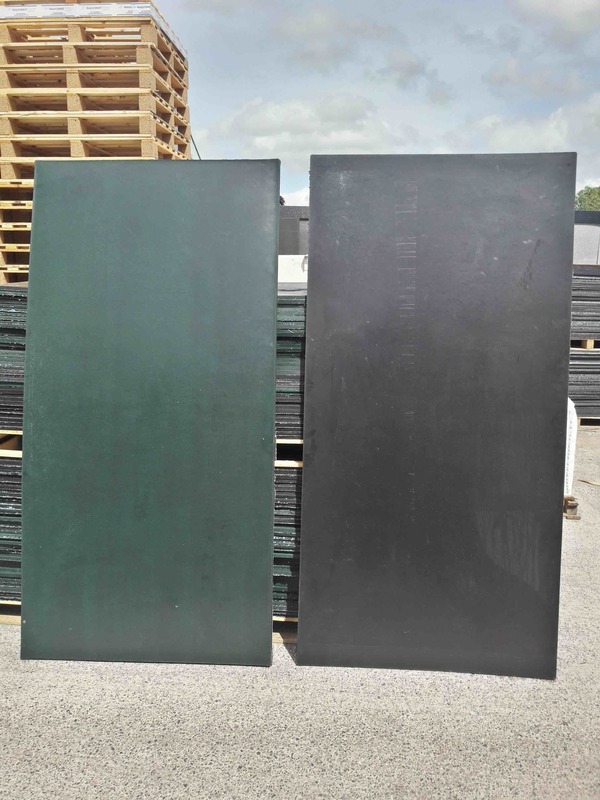 Aluminium composite does not expand as much as Storm Board, and can be fixed to Storm Board. 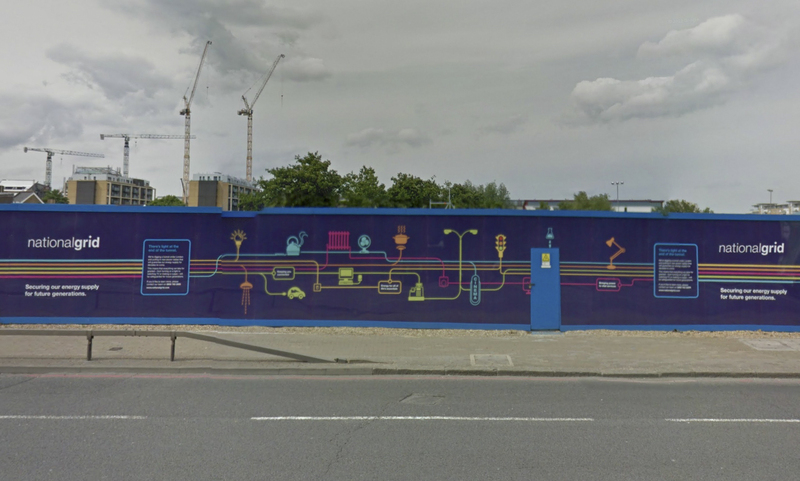 this hoarding, erected by Sir Robert McAlpines uses the top hat system. The top hat metal profile is fixed to the timber upright, (offsite), and allows the board to expand and contract, which reduces warping. The sytem also sppeeds up assembley and disassembly, with reduced damage to boards, which are then re-used. this hoarding, erected by Multiplex, uses the Hoard It clamping system. The boards have a lamite applied directly, which negates the need and cost of aluminium composite. This also gives a very flat looking finish. 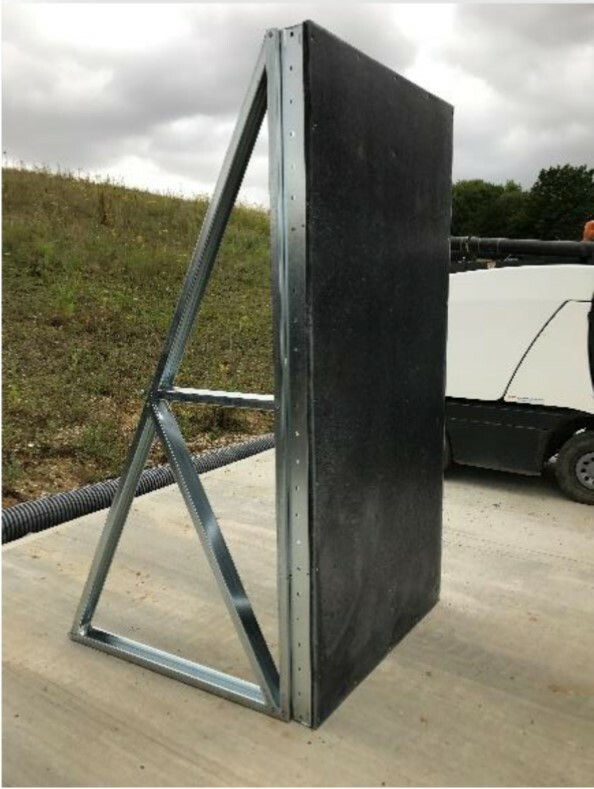 a more radical alternative is to do all the work offsite and use the Hadframe system, whereby the board arrives fixed to the frame, and only needs bolting in place. 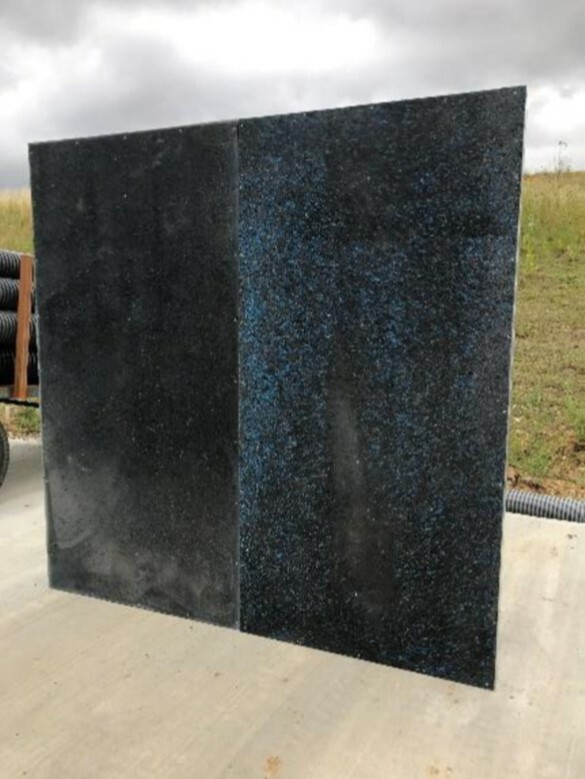 This reduces work on site, and can be moved easily from one site to another.This gives a very flat finish, that does not require aluminium composite or any timber for that matter. Warping: Plywood is flat on day one, not on day 100. Storm Board will move, and last a lot longer outdoors. Use the right system, and this is not an issue. Moisture: Storm Board does not swell and crack like plywood, and does need replacing so often. Storm Board can be jet washed , (even with solvents), for cleaning. Landfill: aluminium composite is not recycled in the UK to our knowledge, it also comes with a protective plastic foil which is chucked away. Plywood is always chopping down trees, even if it’s FSB marked, you know the forest you are cutting down. For a temporary use, this is not sustainable. Plywood is difficult to incinerate as it generally is made with resins and glues that contain formaldehyde. Don’t forget the boards have been painted too. Re-use: as soon as you have used Storm Board a second time, there is a cost saving. Storm Board can also be stored outdoors. CO2: reduce your CO2 footprint using Storm Board, rather than cutting down rain forest. Sustainability: Storm Board is the sustainable alternative to painted plywood and aluminium composite. By using Storm Board companies are proving their environmental credentials and commitment to change. 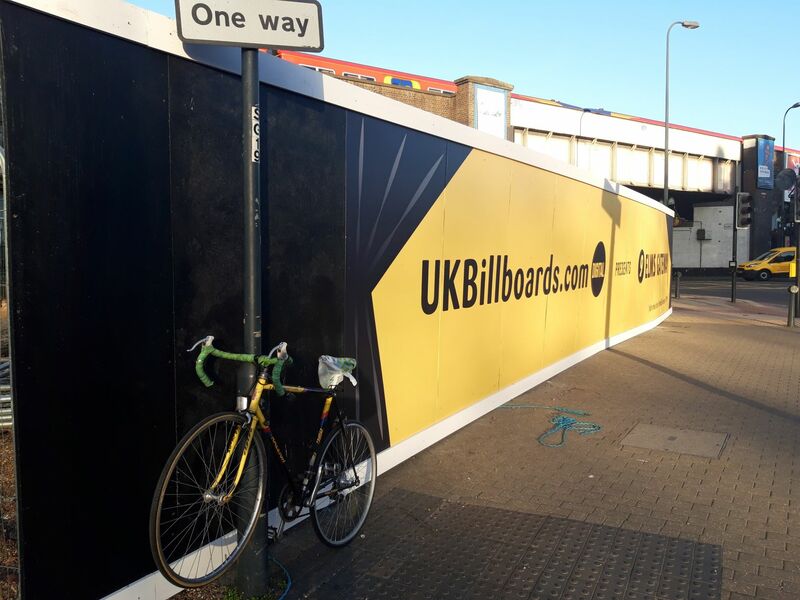 Hoardings are often the consumer face of a company until they come down. For further information, you can contact us through this website.